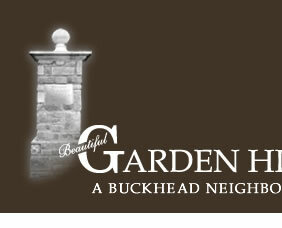 Garden Hills is a vibrant and active community with many neighborhood organizations. Each organizations is unique but they all work together to help make Garden Hills one of the best neighborhoods in the city! Take a look at the following organizations, and consider joining one or more of them - doing so is a great way to get involved, meet your neighbors, and support our community! The Garden Hills Civic Association (GHCA) is a non-profit neighborhood organization tracing its origin back to 1934. It is comprised of hundreds of members and focuses on protecting and preserving our neighborhood while helping to foster a sense of community. The GHCA keeps residents informed of important neighborhood news, funds the security patrol of off duty police officers, manages the neighborhood vision, sponsors several community events, and is active in zoning matters. Originally organized in 1927 as "The Garden Hills Women's Club," the Garden Hills Garden Club is a social and service organization, with the mission of making Garden Hills a unique and beautiful place to call home. The Garden Club sponsors community events throughout the year, including the annual Ice Cream Social, wine tastings, the Holiday Mailbox decorating fundraiser, and a variety of programs and social events. Current membership is over 120 women strong, and ready to welcome you as a new member! Check out the Garden Club's website to learn more about the club. The Garden Hills Neighborhood Foundation, Inc. (“GHNF”) is a 501(c)(3) non-profit charitable organization founded in 2009 by residents in order to fund Civic Association approved projects. GHNF is committed to funding projects that bring safety, structural, and environmental improvements to Garden Hills, and to improving the quality of life within the neighborhood. Learn more by visiting the GHNF Website. The GHPPA operates the the Garden Hills Pool, adjacent playing field, and nearby Recreation Center under a lease agreement with the City of Atlanta. The GHPPA also host the Cool Sharks swim and dive teams. Visit the GHPPA website to learn more. This LinkedIn group- reserved for Garden Hills residents - offers a forum to expand your professional network by connecting with neighbors in a variety of industries. Learn what others do, post a job or a business need, discuss a trend...or just network! Membership is free and is restricted to those who are residents of Garden Hills and who are registered users of gardenhills.net. The Garden Hills Babysitting Co-op members provide reliable, responsible care of each other’s children. No money exchanges hands; the Co-op works with electronic coupons exchanged online for babysitting services. If you are interested in learning more about the Co-op please contact the Babysitting Co-op President Caroline Guitar at cengwall@gmail.com.